I can remember in grade school going to lunch in the school cafeteria. Well, my elementary school was so small that we didn't have a separate cafeteria, so the gymnasium transformed into the lunch room. Nonetheless, I remember grabbing my brown bag lunch and walking in a single file line with my classmates, excited to devour the food that our parents had packed for us. Peanut butter and jelly. Pizza Lunchables. A bagel and cream cheese. Perhaps that best part of it all was the bartering that took place. I'll give you my Fruit Roll-Up for that bag of Cheetos! You can have my Capri Sun if you give me those HoHos. In its own innocent way, the Rockland Elementary School cafeteria became its own self-sustaining community, a community of children monitored by the watchful eyes of adults. On my most recent trip to New York City, I spent the more time in Brooklyn than ever before. To be honest, when I lived in NYC back in 2011, I purposely avoided going to that borough. In my mind, Manhattan was the only borough that truly mattered. I did not want to waste my time trying to explore other parts of the city. Here I am, five years later, and I can truly say that I was sorely mistaken. On my first day in Brooklyn, my old roommate brought me to Berg'n, a beer hall from the founders of Brooklyn Flea and Smorgasburg. 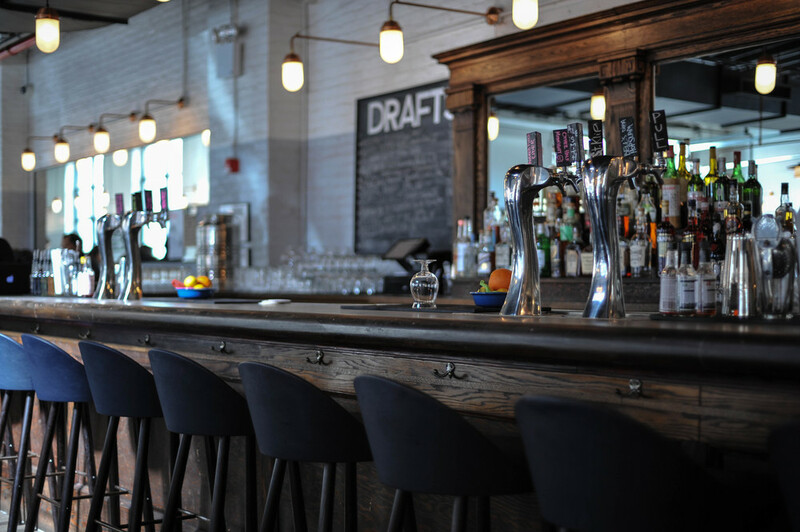 Long communal tables fill the large space and an expansive bar spans the back wall. At the far right side, four kitchen are occupied by food vendors from the surrounding areas. As you look around the industrial space, you will find parents with children eating their Saturday lunch, people sitting at their laptops, headphones on, typing away, please sitting at the bar enjoying a beer and conversation. Community. At Berg'n you will witness the definition of community. Everyone living their separate lives in unison, while they may not know the person next to them, they are sharing experiences. This is what I love about food. About Brooklyn. About New York City. I truly believe that you do not need to know someone personally in order to share community with them. Simply sharing a common space, or food, is enough to bring people together. Community, it's a beautiful thing.